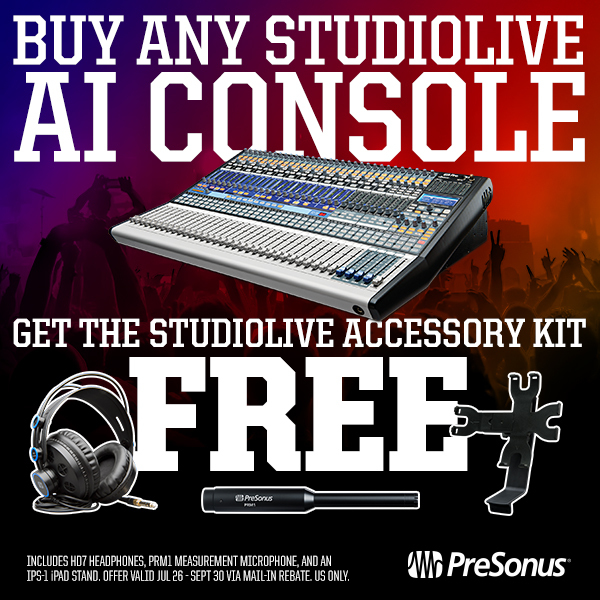 Buy a StudioLive AI Console and get a FREE Accessory Kit July 25-September 30, 2016! From July 25, 2016 until September 30, 2016 whenever you buy one of our StudioLive AI Consoles (16.4.2AI, 24.4.2AI, 32.4.2AI), you will receive the StudioLive Accessory Kit for FREE via mail-in rebate! PreSonus’ high-definition HD7 headphones take advantage of a patented, semi-open sound chamber to deliver exceptionally deep low frequencies with a balanced and yet powerful bass punch. Accurate midrange and extended treble response let you pick out the fine details of a mix or track. They’re lightweight, adjustable, comfortable–whether you’re monitoring, tracking, mixing, or just listening for pleasure, you can expect impressive sonic performance from the HD7 headphones. Valued at $39.95. The PRM1 Precision Reference Microphone is a special type of condenser microphone that provides an accurate reproduction of a room’s sound characteristics for use with audio-analysis tools such as real-time analyzers and spectrographs.The PRM1 employs a ¼” pre-polarized electret-condenser capsule and requires phantom power. It has an omnidirectional polar pattern, meaning it is equally sensitive in all directions. This allows the microphone to measure reflections, as well as direct signals, providing an accurate depiction of the room. Usually $79.95 but yours free with this deal! IPS-1 iPad Stand keeps your iPad safe and visible so you can keep an eye on UC Surface and your hands busy mixing. This is a $55.95 value. That’s over $175.00 in equipment yours for FREE! This offer is available in the US only with a mail in rebate. Click here to print the rebate form. RC500 Channel Strip for $399.95 from the PreSonus Shop! If you’ve been looking to add a vintage vibe to your mix, PreSonus has got you covered. 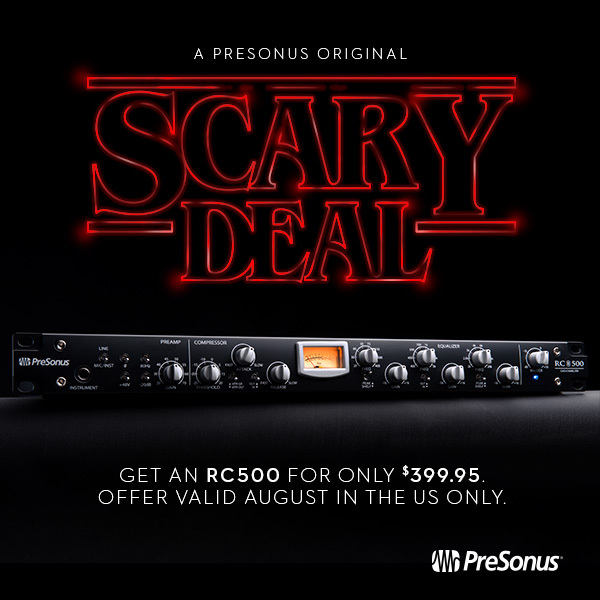 For the month of August, purchase a B-stock or refurbished RC500 for only $399.95 from shop.presonus.com! The RC500 is well worth it, considering the quality in construction, and of course the sound. This should be the first choice for anyone looking for a versatile preamp/single channel strip for any studio. This offer is available to customers in the USA, and only via our online store. Click here to shop! Comments Off on RC500 Channel Strip for $399.95 from the PreSonus Shop! 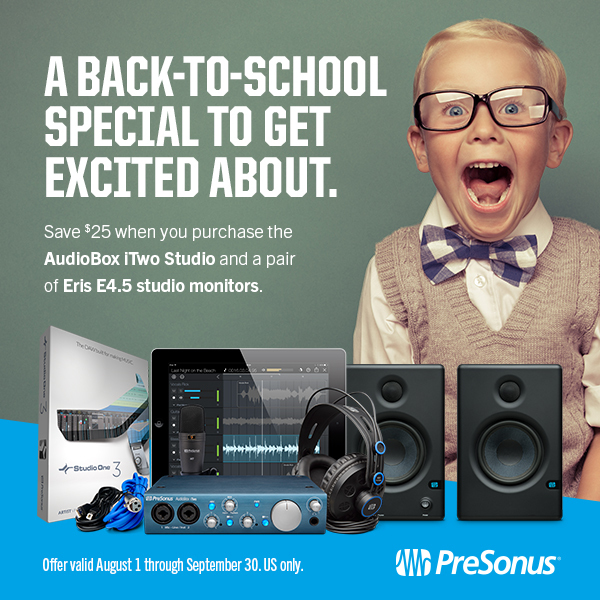 Comments Off on Back To School Sale: Eris 4.5 Monitors and iTwo Studio–Save $25! PRM1 Microphone for Only $69 from the PreSonus Shop!! 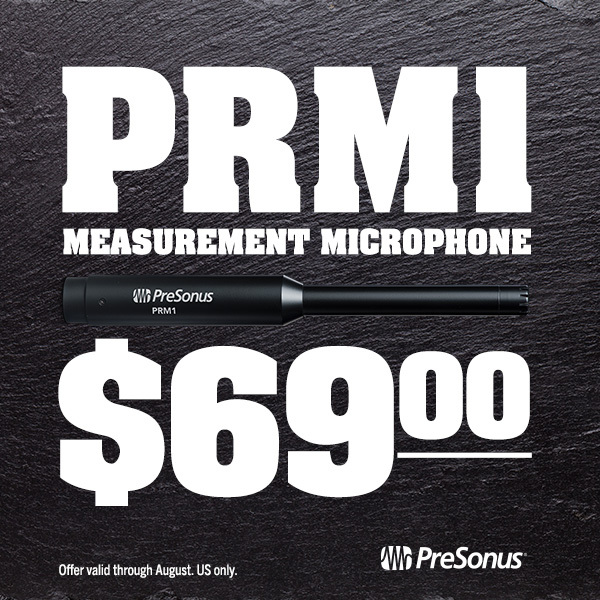 For the month of August purchase the PRM1 Microphone for only $69! That’s down 30% from its usual price of $100! The PRM1 Precision Reference Microphone is a special type of condenser microphone that provides an accurate reproduction of a room’s sound characteristics for use with audio-analysis tools such as real-time analyzers and spectrographs. The PRM1 employs a ¼” pre-polarized electret-condenser capsule and requires phantom power. It has an omnidirectional polar pattern, meaning it is equally sensitive in all directions. This allows the microphone to measure reflections, as well as direct signals, providing an accurate depiction of the room. Use the PRM-1 in conjunction with UC-Surface’s Smaart integration and your StudioLive Mixer’s parametric EQs to optimize your sound to the room. 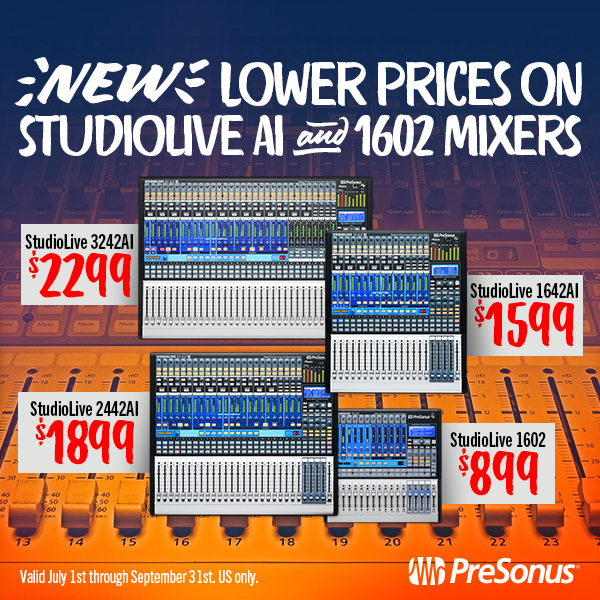 Click here to purchase from the PreSonus Shop! Comments Off on PRM1 Microphone for Only $69 from the PreSonus Shop!! If you’ve been looking to upgrade your studio monitors and listening environment, July’s a great time. 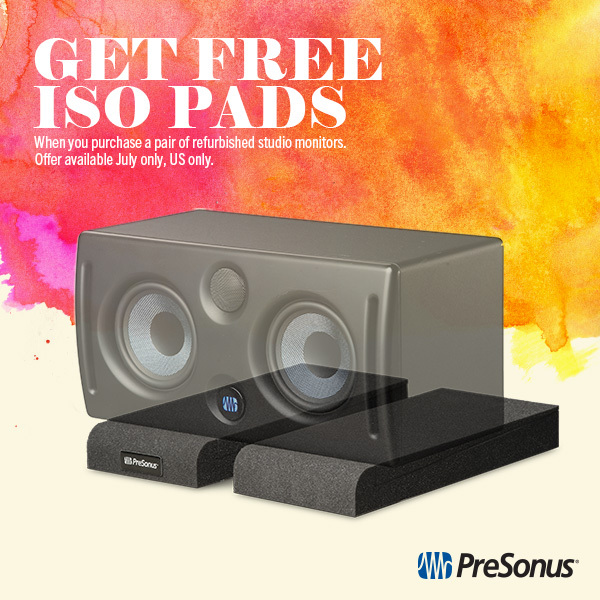 You’ll get a free pair of the ISPD-4 Monitor Isolation Pads when you buy a pair of refurbished PreSonus studio monitors from shop.presonus.com ! This offer is available to customers in the USA, and only via our online store. In case you’re wondering about why you would want studio monitor pads, consider this: When the driver in your studio monitor vibrates, the entire box vibrates along with it. These vibrations are subsequently transferred to any surface the studio monitors are resting on. That includes your desk, and once the desk gets moving, it’s likely to have a resonant frequency or two. This transforms your desk into something of a crappy studio monitor in its own right. This will most certainly lead to louder, inaccurate bass response in your studio. That might even sound cool to you, at first. But the fact is that this resonance results in an inaccurate portrayal of your mixing work in the worst of all possible places—your studio! A recording might sound great in your studio sans isolation pads. But it will render thin and without much bottom-end when played on other audio systems. The ISPD-4 Monitor Isolation Pads are the solution to this problem. While admittedly low-tech, they’re an important component to creating honest, accurate, pro-level mixes. And they’re here, for you, included with your purchase of studio monitors from shop.presonus.com. Click here to visit shop.presonus.com and pick the best studio monitors for your music and budget! A word about our refurbished products: Hardware from shop.presonus.com has been fully tested, includes our one-year warranty, and isn’t missing any parts, documentation, or cabling like you might find from other manufacturer’s “B-Stock” items. This stuff is good as new, guaranteed. We call it B+ stock. Yeah, Temblor, the subwoofers. While not recommended for use with the monitor pads, we figure some of you out there already have monitors, but no sub or iso pads, and we didn’t want to leave you out. 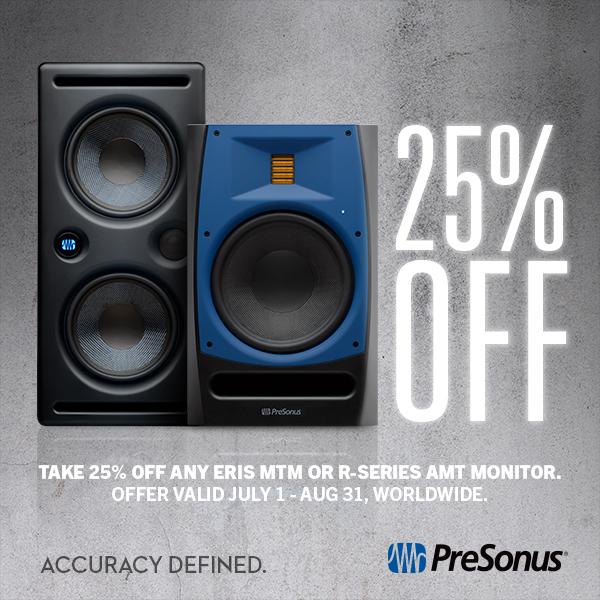 All Earth Moments Add-ons are 30% off in July 2016, available only at shop.presonus.com. 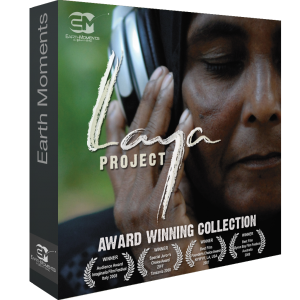 Chennai, South India’s Earth Moments continues to produce exceptionally high-quality sample collections of instruments from across the globe. They’re also quite prolific—at the time of this writing, there are no fewer than nine different Earth Moments products available in our online shop. Many of their recordings are recorded in the field using warm Neve and SSL preamps and Neumann vintage tube mics—and all are recorded to a click track, so syncing them to your projects won’t be an issue. Furthermore, all samples are royalty-free, so you can use them in whatever you like, including commercial endeavors. The last 3 mentioned above are also available in the Pure India bundle—you can save a little more if you buy all three together. 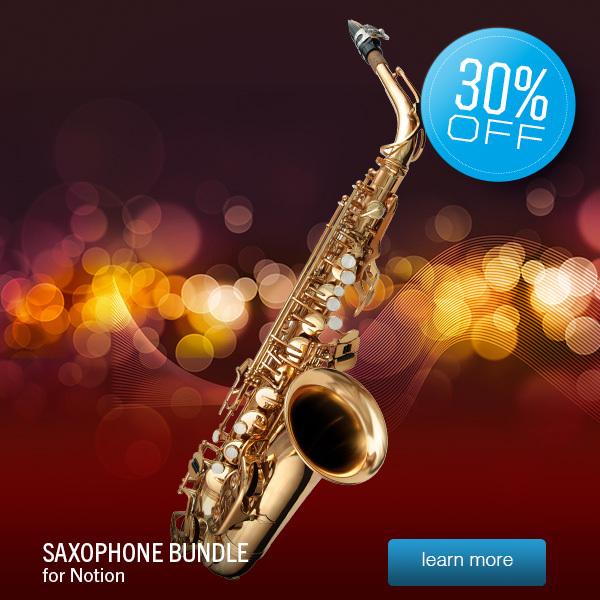 Click here to shop online and hear some audio demos. And this one is out of this world–see what we did there? 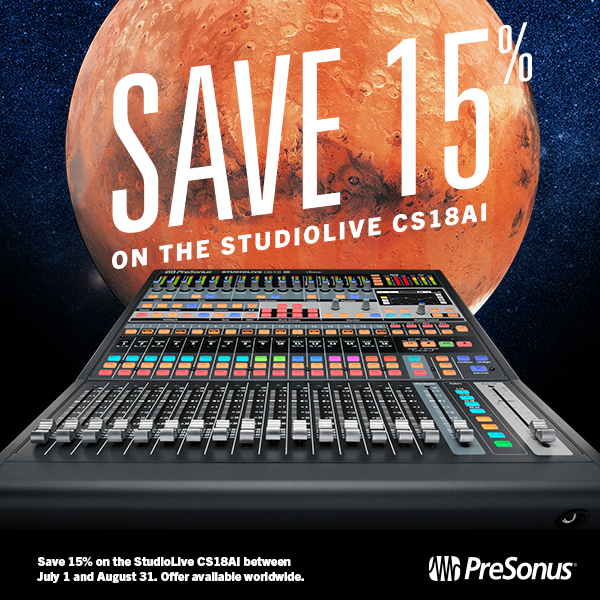 Save 15% instantly when you buy a StudioLive CS18AI during the month of July! Equipped with 100 mm, touch-sensitive, widely popular motorized faders and AVB networking, the StudioLive CS18AI control surface provides a compact, intuitive mixing solution for PreSonus StudioLive RM16AI and RM32AI rack-mount digital mixers and Studio One 3. The CS18AI connects to your network with a CAT5e or CAT6 Ethernet cable, eliminating the need for cumbersome analog or digital snakes and stage boxes, and offers a host of other useful features. It adds up to a powerful mix control system with a fast, intuitive workflow and the latest networking technology. Take a detailed look at the CS18AI with Rick Naqvi here!